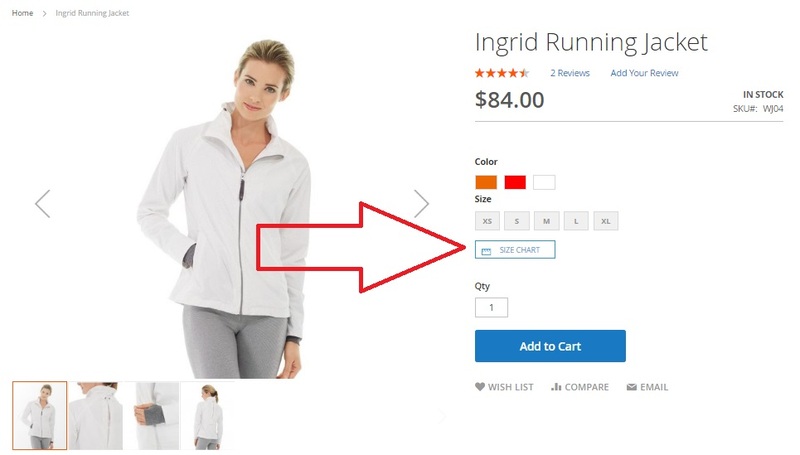 If you have an online clothing shop on the basis of Magento 2, we have something very useful to share with you. Among thousands of Magento 2 extensions, our attention has been captured by a tiny but vital module – Plumrocket Size Chart. 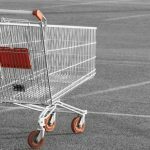 The extension is available for both Magento 2 and 1, so you can dramatically improve user experience of your store visitors despite the platform version you use. This size guide module completely revamps the default way sizes are displayed on a product page. You can fully leverage pictures, tables, and even videos to provide stunning shopping experience. 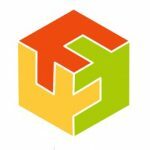 Let’s take a look at core features of the Plumrocket Size Chart Magento 2 extension and then proceed to the backend tutorial. 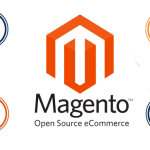 Everyone knows that there are various product types available in Magento 2. For some plugins, this is a problem, since they are not compatible with certain product types. If you are wondering whether the same limitation is related to Plumrocket’s solution, we should bring you good news: the Magento 2 module supports all product types. Thus, you can fully leverage its functionality for clothing, shoes, jewelry, eye-wear, and even pets! Besides, it offers a great opportunity to provide your customers with international size conversion charts. Note that the Plumrocket Size Chart Magento 2 module offers two core layout types: popup window or content built into a product page. You can apply each layout on per product basis. Thus, the extension can be configured according with the most strict design requirements. And it is extremely easy to manage the extension in the backend. 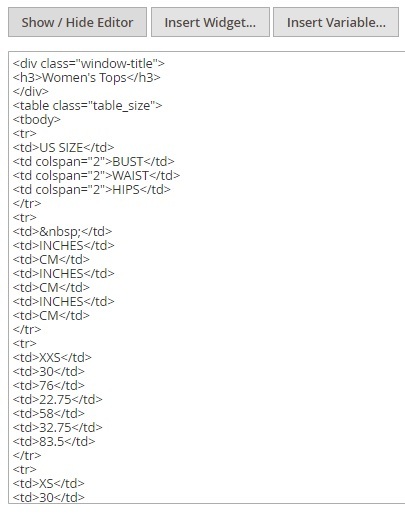 The Size Chart Magento 2 module allows to assign different size charts for each category. Alternatively, one size chart can be inherited from the parent category. And as we’ve just mentioned, it is possible to create unique configurations for each product. Thus, you are free to choose how to configure the tool: as fast as possible or with the most precise approach. 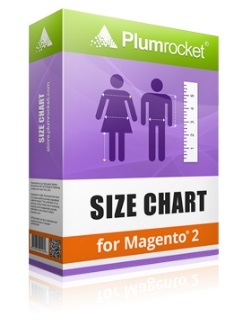 It is also necessary to mention that the Plumrocket Size Chart Magento 2 extension offers flexible display rules that allow to display charts on the basis of product attributes. Note that these rules can be used to replace other charts inherited or defined on various levels (catalog and product). To make your website even more appealing, Plumrocket allows to fully leverage HTML. Due to a built-in editor, you can insert such content as tables, pictures, and videos, change colors, and apply custom styles to attract the attention of visitors and help them make correct decisions. Now, when you a familiar with the core functionality of the Plumrocket Size Chart Magento 2 module, we can describe how it is designed from within and proceed to the frontend appearance. Priority – parameter that helps to avoid conflicts between size charts. While adding a new size chart, you have to deal with 2 tabs of setting: General and Display Rules. Under the general tab, specify chart name, select status, choose a store view, and decide whether it will be a popup or a built-in chart. As for Display Rules, this tab allows you to add an unlimited number of rules based on product attributes/ Besides, you can enable a feature that will override catalog and product settings. Rule priority can be specified on this page as well. 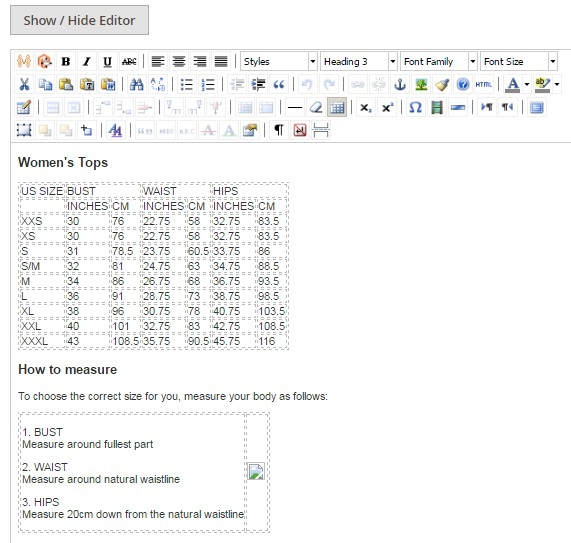 Thus, the Display Rules tab provides the ability to fully customize the appearance of size charts. Now, let’s go to Products -> Inventory -> Categories. Select a category and on the general information tab scroll down to the bottom of the page. 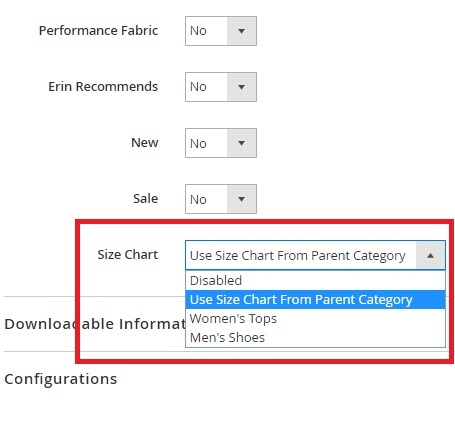 There is the Size Chart option that allows you to use size chart from the parent category or select one of the available size charts. As for the same option on a backend product page, it is available under Products -> Inventory -> Catalog. 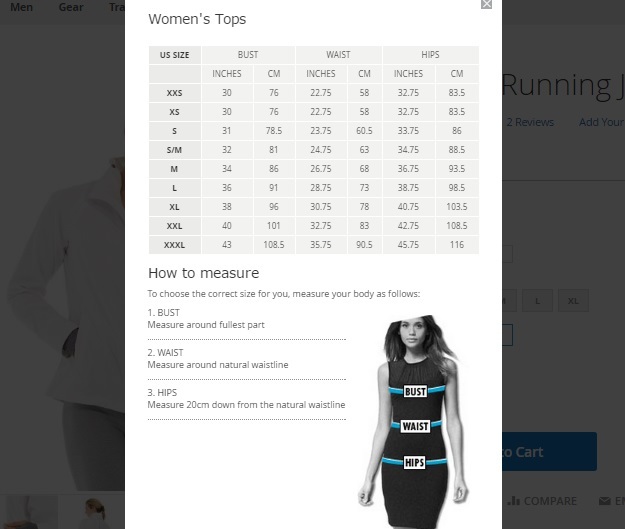 Here, you should select a product and in the bottom of the Product Details tab choose the necessary size chart. 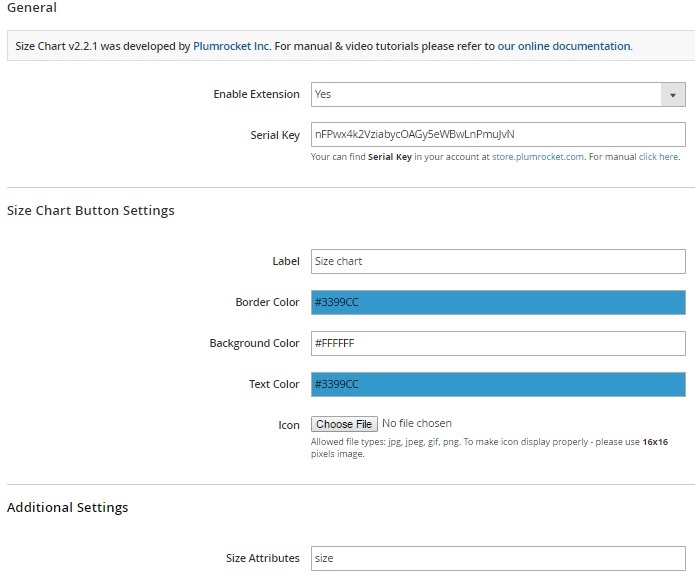 The Configuration page of the Plumrocket Size Chart Magento 2 extension is divided into 3 sections: General, Size Chart Button Settings, and Additional Settings. The first one allows you to enable/disable the module and enter its serial key. In Size Chart Button Settings, you specify label, choose border, background, and text color, as well as upload an icon. Additional Settings provide the ability to set a size attribute. For the example of a built-in chart, visit the extension’s page. 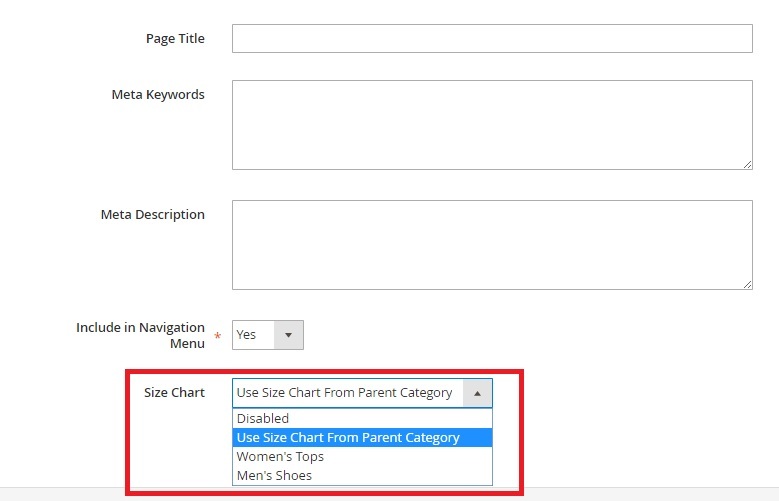 The Plumrocket Size Chart Magento 2 extension adds the easiest way to provide store visitors with size charts and descriptions to them. Install the module and let your clients choose goods of the right size without efforts. The price of the tool is only $89 for M2 version and $79 for M1.